LifeWay has recently released a newly revised Bible translation, titled the Christian Standard Bible. Formerly known as the HCSB (Holman Christian Standard Bible), this new revision focuses on the balance of both accuracy and readability of the text. What does this revision mean for us as kids ministry leaders? 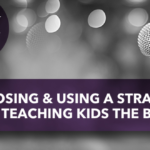 Landry Holmes, manager of Kids Ministry Publishing, joins the podcast today to help us understand the vision behind this new translation, how it can bring clarity for the kids we serve and teach, and details the impact to our LifeWay Kids resources as we make the transition to the CSB. 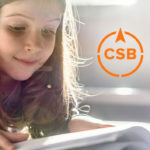 Welcome the Christian Standard Bible (CSB) to LifeWay Kids!